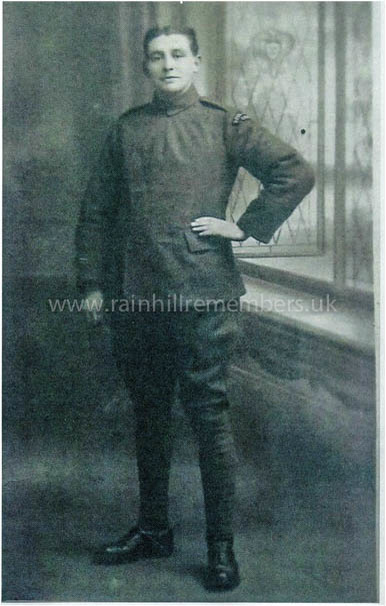 Francis enlisted at Gawsworth Mill, Cheshire on 3rd November 1917 (his uncle’s Mill). He went for training at Aldershot and then joined the Royal Flying Corps which then became the Royal Air Force on 1st April 1918. He was in France from 12th December 1917 until 1st April 1918. Francis was awarded the British War Medal and the Victory Medal. On his return from war he lived at Castle View Farm, Cuerdley. Hilda Augusta Bennett (nee Owen) worked at Eccles and Patricroft Hospital and Cheddleton Hospital during WWI and after the war married Francis Thompstone Bennett. Acknowledgement: Barbara Hoyle (daughter of Francis and Hilda).